Worldwide Chromebook sales to end users is on pace to reach 7.3 million units in 2015, a 27 percent increase from 2014, including demand from New Zealand, Australia and Japan at a regional level. According to Gartner, the education is the primary market for Chromebooks and represented 72 percent of the global Chromebook market in 2014. “Since the first model launched in mid-2011, Google's Chromebook has seen success mainly in the education segment across all regions,” says Isabelle Durand, principal analyst, Gartner. 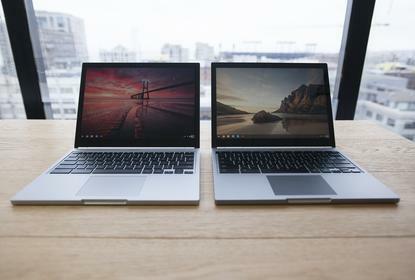 In the business segment, purchases of Chromebooks remain low despite interest from small and midsize businesses (SMBs) and vertical industries. Durand says Google is increasingly targeting the business segment with its Chromebook for Work suite of office applications and has continuously improved access and functions by making more applications and services available offline. “Chromebook is a device that can be considered by SMBs or new startup companies that do not have the resources to invest too much in IT infrastructure,” Durand adds. Durand believes Google is gaining credibility and seeing success with Chromebooks in the consumer retail space, but has to improve brand awareness, especially outside the U.S. market, where consumers who may be familiar with apps such as Google Docs do not know what a Chromebook is and what value it may bring. “The majority of Chromebook users are tech-savvy individuals who purchase one as a companion device to their primary notebook or desktop PC,” she adds. “Others are buying a Chromebook for the household to use as a second low-cost PC alternative. From a regional perspective, in Asia/Pacific the Chromebook market represented less than 3 percent in 2014, with demand coming from Australia, New Zealand and Japan. After Samsung's decision to exit the European Chromebook market and focus on tablets, Acer took the lead to become the No. 1 worldwide Chromebook vendor in 2014, selling more than 2 million units in 2014. As a result Samsung held the No. 2 position with 1.7 million units sold in 2014 and HP, a late entrant to the market, was ranked No. 3, with 1 million units, thanks to its strong connection with education partners.